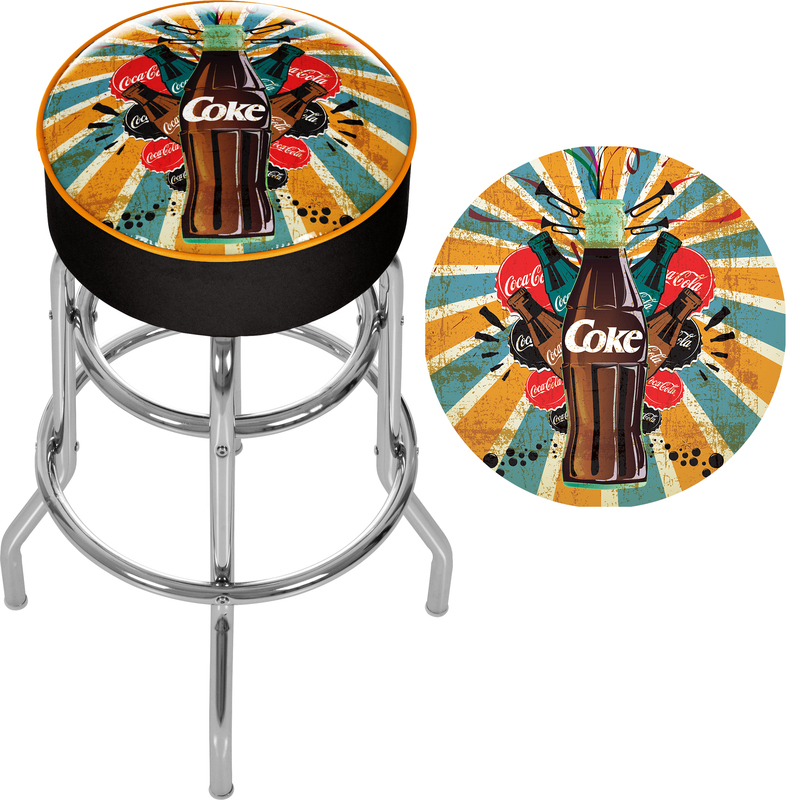 This officially licensed Coca Cola Brazil Color Splash Coke Bottle chrome bar stool will provide you and your guests with a comfortable seat as well as a stylish accent to your game room, garage or collection. 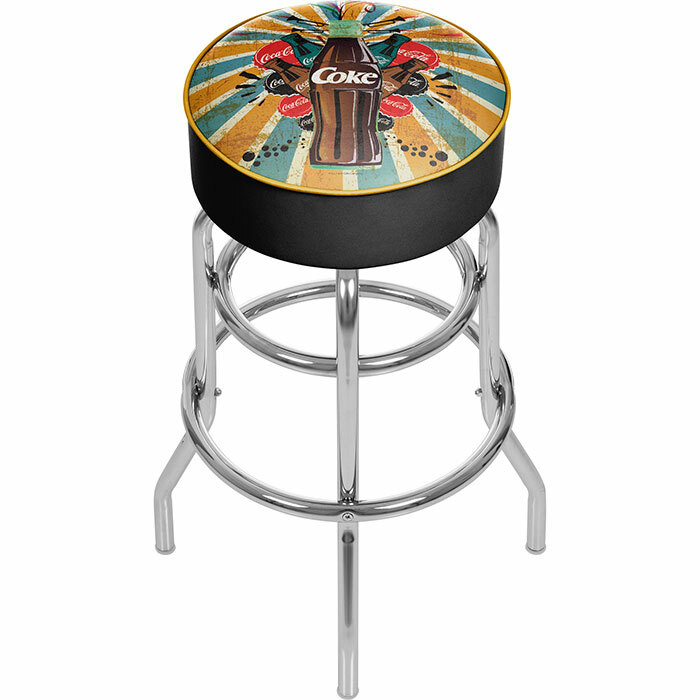 The stool's seat features an authentic logo highlighted by resilient marine grade vinyl sides trimmed with quarter inch vinyl beading. The seat also includes luxurious foam padding and a 360 degree swivel. Chrome double rung reinforced legs are made of tubular steel that is both lightweight and durable. Bring style, function and comfort to your game room, garage or collection with an officially licensed chrome bar stool.